In Project 4 & 5, the imager was modified to handle importance sampling and a pinhole camera. The importance sampling provided much faster rendering times by sending photons only at known objects in the scene, and weighting them based on their angle. 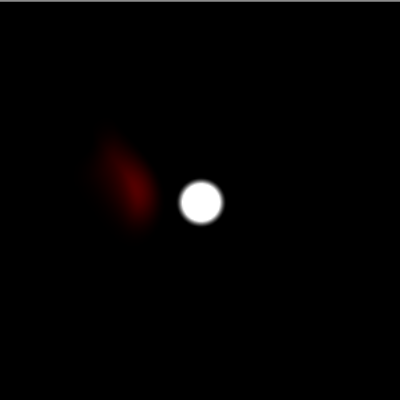 The photons were generated at the sensor grid and sent through the scene until they hit a light source (or bounced too much). This seemed to provide a good sampling of the scene, but required a major rewrite of the code. This new version of the software adds a lens to the scene as well as motion blur. To handle motion blur, the red diffuse sphere was moved from (0, 1, 3) to (1, 2, 4) over the course of the rendering. This created an easy but interesting blur effect as if the object was exposed over many sensor units while the apperture was open. The lense was a simple biconvex lense attached to the pinhole. Upon contact with the lense, the vector was skewed based on it's angle of incidence and the refractive index of the lense (1.4 for this lense). As the photon left this lense, it would be skewed again. Snell's law was used to calculate the angles of refraction for each photon. E ai quanto tempo!!! Gostaria de saber de vc o que esta fazendo? Como esta a vida ai. Tudo tem seu tempo nehh?